TVR is returning to motorsport and Le Mans with the announcement that they are to become a technical partner of Swiss-based FIA World Endurance Championship team, Rebellion Racing. 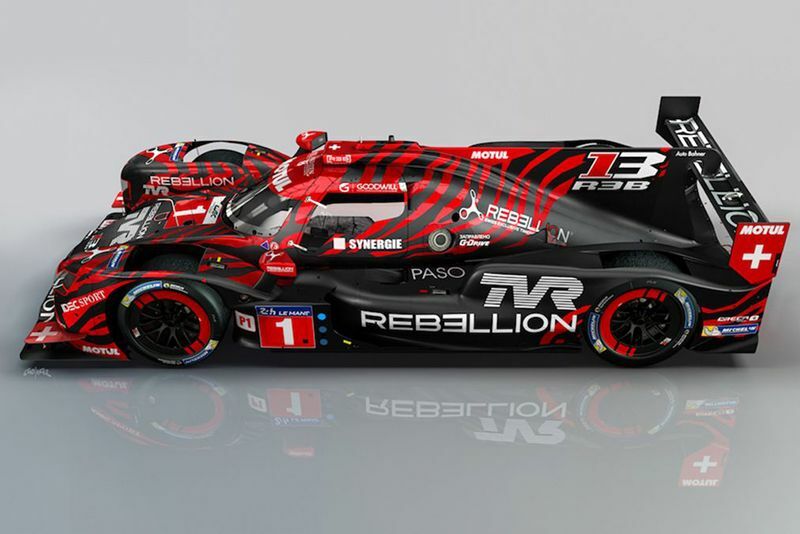 After ten years since TVR last participated in any form of motorsport, the season's prologue at the Paul Ricard circuit in France sees the TVR name return to the paddock when the Rebellion R-13 LMP1 prototype begins preparing for the 2018-19 FIA WEC Super Season. 2018 will, for the first time, see the teams contest two Le Mans 24 Hours in a single season, it also marks 13 years since TVR actually competed at Le Mans. Back then, the Racesport Peninsula TVR Tuscan Speed Six GT2 was driven by John Hartshorne, Richard Stanton and Piers Johnson, and completed 256 laps of the twice round the clock race. Unfortunately the team failed to complete 75 percent of the race distance and was therefore listed as not classified in the official results. TVR won't be supplying Rebellion with an engine for its Oreca chassis R-13 however, that comes from Gibson Technology in the form of their new GL458 V8. Based on their 4.2-litre V8, which had much success in LMP2 recently, the upgrade to 4.5-litre, naturally aspirated engine is expected to produce more than 750bhp. Chairman, Les Edgar, says TVR’s decision to return to motorsport is more than a marketing one: “When we resurrected the TVR brand, we knew that we wanted to achieve a return to the race track. Our partnership with Rebellion Racing allows us to achieve that goal while bringing about valuable operational and technical knowledge, which directly transfers to our road car operation and future racing activities. The FIA World Endurance Championship Super Season starts with the Spa Six Hours in Belgium on 5 May, heading to Le Mans a month later. Rounds at Silverstone, Fuji and Shanghai will see out the year before the season continues in 2019 with a return to Sebring in March, back to Spa in May and the season finale taking place at Le Mans over the weekend of 15-16 June 2019. Video: Watch A Redneck Lamborghini Dominate The Drag Strip! Video: Fastest Street Cars And Bikes In The World Going At Speeds Past 200mph!